Here at Canton Termite and Pest Control, we receive many calls regarding fleas. As summertime arrives, it brings with it an increase in the flea population. Many pet owners dread the frustration and expense that can come from dealing with fleas. Fleas can cause major irritation to pets. Fleas can also become a major problem when they are brought into homes by a pet or other animal. One of the most common misconceptions about fleas is the time it takes to eradicate an infestation. Many years in the business has taught me that fleas are not a problem solved in a day. Even with the assistance of a trained professional, it can take as long as several months to completely eliminate a flea infestation. This is due to the life cycle of fleas. When fleas lay eggs, it can be up to 12 days before the larvae hatch. These larvae will grow into maturity over the next 4-18 days before entering a pupal stage. It can take up to a month for the adult fleas to emerge. This means that even if the adult fleas are eradicated once, the eggs they lay will grow to become a new infestation of fleas some time afterwards. This cycle is difficult to break and requires multiple applications of products. Even with the best professional help, it typically takes at least a month to deal with a severe flea infestation. For this reason, it is important to try to discover a flea infestation early before it becomes too severe. To identify a flea infestation in your home, the easiest identifier is your pet. Pets will often be irritated and scratching. Inspect the fur of the animal and look for small insects crawling between hairs or droppings in a red or black color. The animal will often have reddened skin as well. If you see any of these signs, seek the advice of a veterinarian to help eliminate the fleas on the pet. Pets are not the only way fleas enter a home. Sometimes a mouse or other small animal can bring fleas into a home. If it is removed from the home, the fleas will remain and will seek out a new source of sustenance to survive. The easiest way to identify fleas in a home is to look for the adult fleas. Fleas require a blood host to survive, so if a pet or other animal is no longer in the house, they will seek out another source. They are small, about 1/8 of an inch, and are typically dark colored. Fleas will often be seen jumping out of the carpet and onto pets or people around the home. Once the fleas have been identified, homeowners should clean the entire house. Vacuuming all carpets and cleaning all linens is an essential part of eliminating the pest. After cleaning, it is best to contact a pest control professional to deal with the infestation. A trained professional is able to both treat for existing adult flea populations as well as the larvae and eggs that will eventually hatch to replenish the population. However, it is important that homeowners continue to frequently clean any carpets, pets, and linens during treatment. Unfortunately, there is no one time solution to fleas. Frequent cleaning, professional expertise, and efficient products are all required to eliminate the problem. The sooner a flea infestation is identified, the more quickly it can be eradicated. While there are some non-professional products and chemicals that can impact flea populations, often professional help is necessary to eliminate fleas. Because of the gap in time between flea eggs hatching, many products simply do not last long enough to destroy the entire population. The fleas will hatch again and return in full force even if the entire previous adult population is destroyed. 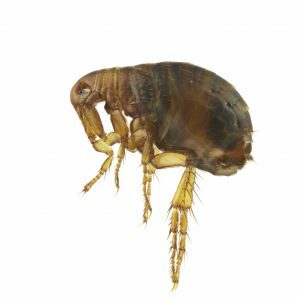 Flea control requires multiple applications of chemical treatment, and for this reason flea infestation is often best left to the professionals. Professionals also are more likely to find the eggs laid by fleas as well as identify the source of the infestation. By doing this, they can more easily find out how to eliminate the infestation and to prevent the fleas from returning. As a homeowner myself, I can completely understand the frustration of fleas. Fleas are an irritating pest to have in a home. As a result, when you need help, you want to call the best person you can. Canton Termite and Pest Control is an industry leader in flea extermination. Our team is trained to deal with any pest problem in a safe, efficient manner with rates that fit your budget. We will work with you personally to develop the best method of treating your home or business. So if you need help with fleas, or simply have a question about any pest, call us today at 770-479-1598 and ask for me, Tim McWhirter. I will be happy to answer any questions you have! I just can't say enough great things about this company! We have used them for a few years now and what a great job they do! William is wonderful to work with and really takes the time to spray every inch of our home (which is a lot). He also takes care of my mother's house and her rental properties. It's great to know that he is always around if we need him. He is professional, knowledgeable, respectful, and always asks about my mom while he is here. We are not "just another job" for him and it shows. Greatly appreciate this company and all of it's employees!